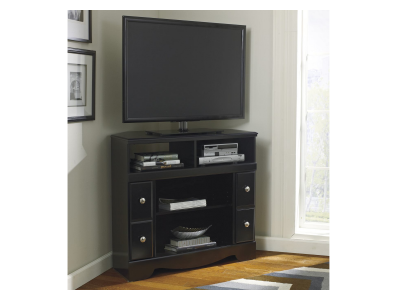 What an interesting dichotomy. 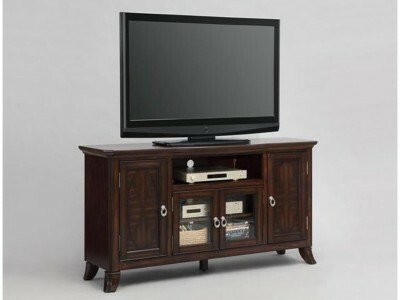 Frantin TV stand blends an ultra-modern, clean-lined form with an a..
With its rich blend of select woods and wood veneers bathed in a deep walnut-colored finish, the H.. 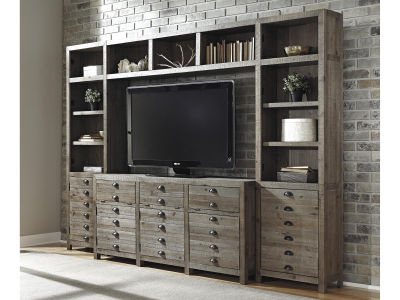 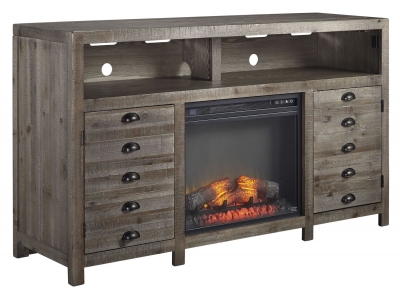 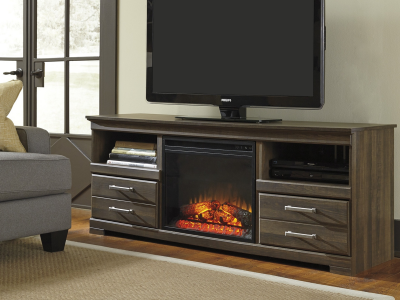 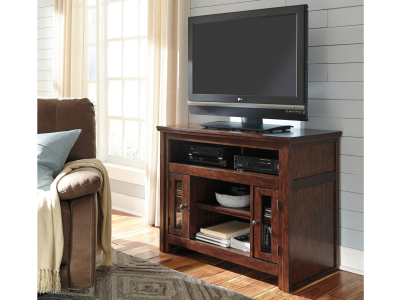 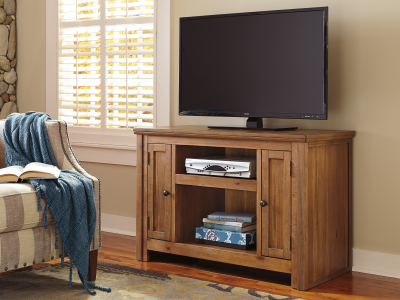 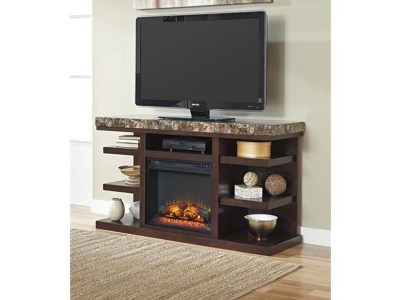 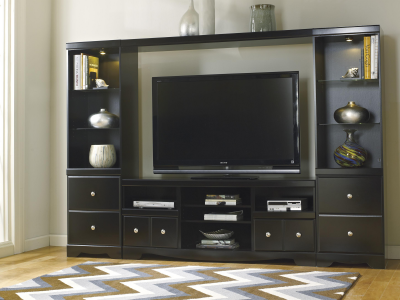 Need a stylish home for your television? 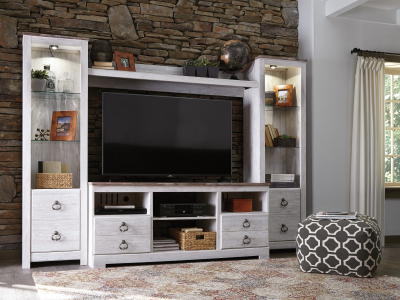 The classic Harpan TV stand is masterfully crafted with e..
Keeblen beautifully blends the look of an antique apothecary chest with the open storage you'd exp..
Clean, contemporary lines on the Kraleene TV stand offer standout style. 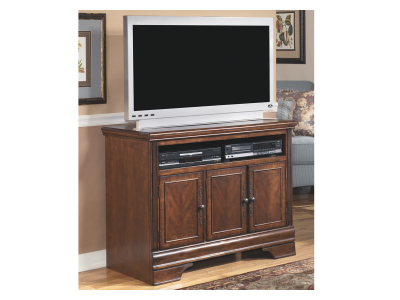 Faux marble top and deep ..
Blending a rich, dark finish with sleek, clean lines, the Shay corner TV stand brings a highly con.. 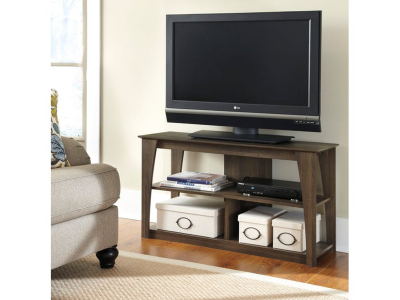 Spotlight on entertainment with the stylish Macibery medium TV stand—a perfect spot for setting up..